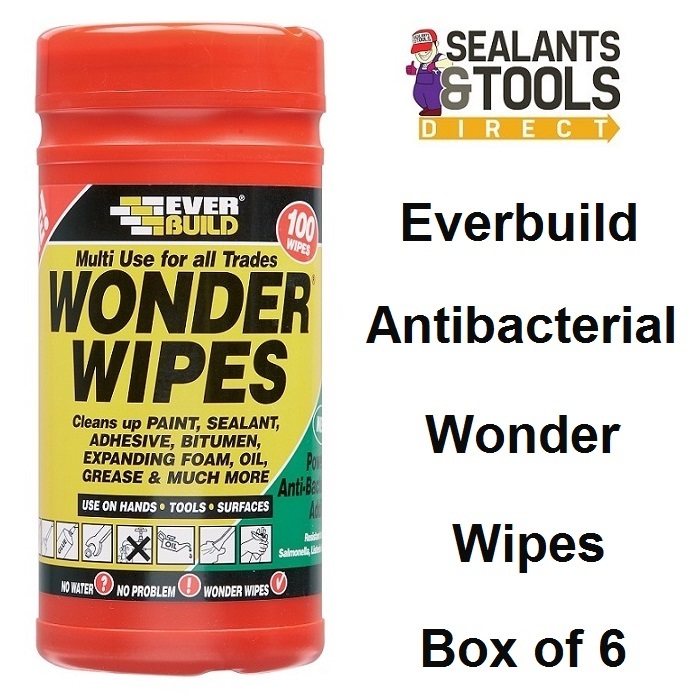 Wonder Wipes are formulated for the building and allied trades. The powerful cleaning agents are still kind to hands, they contain lanolin and vitamin E to condition skin and prevent dryness and cracking, there is no need to rinse hands after use. Cleans wet and semi-cured paints, sealants, adhesives, bitumen’s, polyurethanes, expanding foams, polyester fillers and epoxies from hands, tools and surfaces. Wonder Wipes contain a powerful antibacterial additive which has been tested by an independent laboratory to the standards for killing bacteria on dirty surfaces and hands.